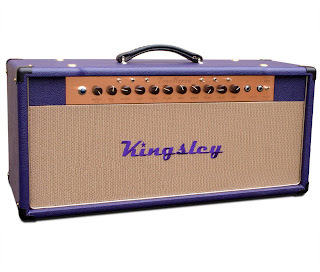 Ryan's Guitars: Ordered a Kingsley ToneBaron Amplifier!! Quit playing your guitar and get out and ride! Ha! Ha! I need too. :) Lately I've been riding the trainer but not nearly enough. Time to get crackin'. It looks like you are suffering from gear addiction. Be careful of that! No kidding! :) I am going to have to take a step back for a little bit and enjoy what I have already. It is easy to get sucked in. Thanks for stopping by the blog, vintagep! I'll add you to my blog roll.